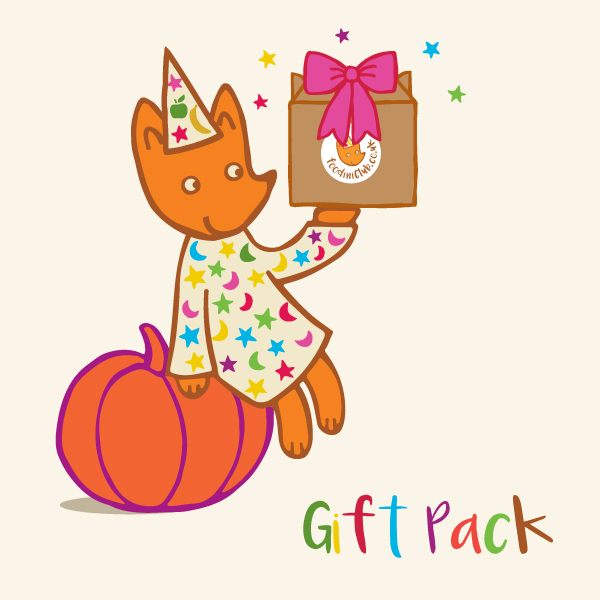 Foodini Club Gift Pack – a personalised welcome pack for gifting subscription products! Gifting the joy of Foodini Club to a friend or relative? If so, we can send the recipient a special personalised Foodini Gift Pack on a date of your choosing – perfect for when a Birthday or important day falls outside of the subscription schedule! Simply let us know the special date in the box in checkout (and a gift note if you like), add to your order and we will dispatch a Gift Pack to arrive in time, letting the recipient know about your gift subscription and when to expect their first box. Postage to UK addresses included.